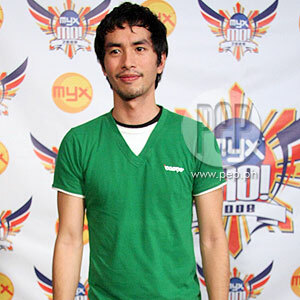 Former Rivermaya chiefRico Blanco announced his comeback in grand fashion at the MYX Mo! event held November 6, Thursday, at SM Mall of Asia Concert Grounds in Pasay City. One of the mostanticipated performers last night, November 6, at the annual MYX Mo! event was former Rivermayafrontman, Rico Blanco. The big musical spectacle was held at the SM Mall ofAsia Concert Grounds in Pasay City. Regarded asRivermaya's main creative force, Rico is currently on a comeback trail after takinga self-imposed sabbatical from the music scene for 17 months. Theprolific songwriter left the popular '90s act in May 2007 after 14 years ofleading the group to take a much-needed vacation, at the same time, embarking on ajourney to self-discovery. Rico visited places here and abroad, allowing him to rejuvenate his creativity and write some new songs. He is now busy promoting his 10-track debutsolo effort titled Your Universe underWarner Records, Philippines. Reviews of the album have been good, so far, with critics hailing Rico's songwriting gift and boldnessin infusing his music with elements not commonly heard today. ROCKINGCOMEBACK. Rico opened MYXMo! 's main event last night with the blistering "Yugto"—a scathing rocknumber written and arranged by Blanco, spliced with diverse genres thatremarkably turned out to be cohesive. Rico then performed the new wave-inspired track,"Say Forever." In the excitement generated by Rico's appearance, fellow musicians situated backstage moved to the front to watch his inspiring performance. "Masaya!" Rico proudlytold PEP (Philippine Entertainment Portal) several minutes after the set. He confessed feelingoverwhelmed by the heartwarming reception he was receiving from fans, casuallisteners, and other musicians. "It's a nice feeling to see the fans again.Matagal naming hindi nakasama ang isa't isa, so it's a nice feeling." All that support fuels Rico as he once again attends to the backbreaking demands of promotingthe album. Said Rico: "Expect more singles from the album, 'tapos siguro moremusic videos, 'tapos siyempre tutugtog na ulit tayo, makikita ninyo na 'ko ulit samga concerts." One of the important lifelessons learned by Rico during his vacation was to take things as they comewithout expecting too much. Even with an album out and once again underthe public radar, the prolific songwriter confided that he will still observe thesame values. Asked if this nowsignifies his full return, Rico sheepishly replied, "One album at a time ‘yonlang muna. Hindi ko masabi kung gaano kahaba. Basta one album at a time." CAUGHT OFF-GUARD. Rico was once romantically linked tomodel-actress KC Concepcion. Reporters asked him if he somehow influenced thedaughter of Megastar Sharon Cuneta musically, particularly in her own album, a.k.a. Cassandra, released by Sony-BMG Music Entertainment this year. Caught off-guard, Ricopolitely replied, "Actually, I'm in a different place. I have my own music [and]I have my own life."